The Balochistan Liberation Army (BLA) has claimed credit for a suicide bombing attack that injured three Chinese workers in Pakistan’s Balochistan province as they were working on the China-Pakistan Economic Corridor (CPEC). It appears that the Chinese workers were specifically targeted. The suicide attack targeted a bus transporting Chinese workers from their work place in the mines to the city of Quetta. The Chinese workers were working on the Saindak Copper-Gold project in a mountainous area near the border with Iran. This is a joint venture between Pakistan and China to extract gold, copper, and silver from the area. The project is managed by a Chinese firm, the Metallurgical Corporation of China (MCC). Since the 1990s, the Balochistan Liberation Army (BLA) has been waging an armed struggle against the government of Pakistan for equal rights and self-determination for the people of the Baloch ethnic group in Pakistan. It has conducted dozens of terror attacks against government installations, security personnel, military targets, and Pakistani laborers. In May 2017, it began attacking CPEC and Chinese targets, particularly the port at Gwadar. The BLA opposes CPEC, saying that it exploits Balochistan resources that they believe belong to the Baloch people. Although the exact contractual agreement between Pakistan and China is a secret, it is believed that profits are distributed according to ownership. MCC owns 50 percent of the mine, Balochistan province owns 35 percent, and Pakistan’s government owns 15 percent. The BLA claim that CPEC is allowing China and Pakistan to exploit resources that should belong to the Baloch people. CPEC is a $55-60 billion 20-year project that will supposedly build a network of roads, railways, and energy pipelines aiming to connect western Chinese cities, starting from China’s easternmost city Kashgar in Xinjiang province, to the sea port in Gwadar on the Indian Ocean in Balochistan province in southern Pakistan. It will have both economic and military components. Power generation, transport, commerce, R&D and the defense of Pakistan all will be increasingly tied to Chinese investment, supplies, and interests. The security of Chinese workers in Pakistan is a big issue. China and Pakistan signed the CPEC agreement in March of last year, making CPEC a target of terror groups including BLA. Chinese officials say that a major benefit of CPEC to Pakistan is that it employs about 2,000 local Balochistan workers. But Pakistan’s ambassador to China Masood Khalid has estimated that there are some 30,000 Chinese working on Pakistan development projects, including CPEC, and that Pakistan’s army has deployed 15,000 soldiers to provide security for the Chinese workers. So China has loaned Pakistan tens of billions of dollars for CPEC, and the salaries of 30,000 Chinese workers and 15,000 soldiers are paid out of that money. But only 2,000 local workers receive any of that money. The BLA objects to these kinds of terms. 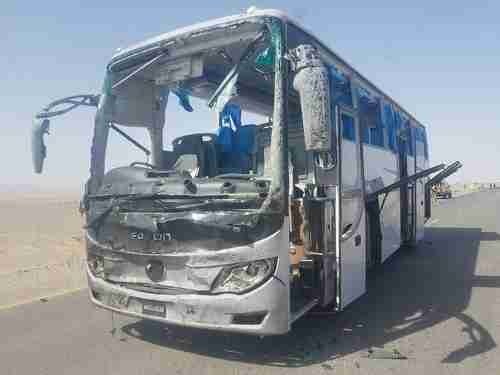 Despite all that money being paid for Pakistani army soldiers, the bus carrying Chinese workers was still attacked by a suicide bomber on Saturday. This has alarmed Chinese officials. A Chinese police delegation arrived in Pakistan’s capital city Islamabad on Monday to discuss the matter. Pakistan’s interior minister said that Pakistan had left no stone unturned in providing fool proof security to Chinese citizens in Pakistan: “We are committed to fight against terrorism in all of its manifestations.” There has not yet been any announcement of what additional steps will be taken to protect Chinese citizens working in Pakistan. The province of Balochistan is a region in Pakistan where terrorist activities are relatively intense. Separatist forces there believe that any development activity in their ‘territories’ violates their interests, and that is the reason why they launch terror attacks. 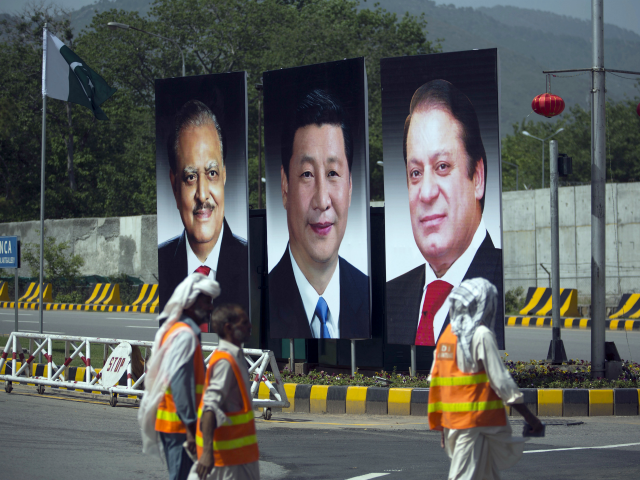 On Monday, it emerged that China has agreed to guarantee Pakistan’s financial backing. This means that China will loan Pakistan additional billions of dollars, making Pakistan even more deeply indebted to China. The only other possible source of money for Pakistan to stave off financial disaster is a new loan from the International Monetary Fund (IMF), although Pakistan has not fully repaid its last loan, made in 2013. Imran Khan, Pakistan’s incoming anti-American prime minister, used to criticize Pakistan’s government for borrowing from the Washington-based IMF, but now that he is in the government with a pending financial crisis, he has suggested that his attitude may have changed. However, attitudes in Washington have also changed. It is becoming apparent that China is setting debt traps in one nation after another as it loans tens of billions of dollars to each nation for infrastructure projects in the Belt and Road Initiative (BRI). It is now being recognized that many of these countries are going to come to the IMF for loans when they are unable to pay their debts to China, which means that money from the IMF, which is largely funded by American taxpayers, would be paid to China in the case of each country. This has angered the Chinese who, of course, would like to have the IMF bail out their debt trap countries, so that in effect the IMF would be funding China’s BRI projects in all the countries. Unexpectedly, just five days after Pakistan’s elections, [US Secretary of State Mike] Pompeo opposed an IMF bailout package to Pakistan. He argued that American taxpayer dollars are part of IMF funding and therefore the US government would not allow a bailout package for Pakistan that could be used to repay Chinese creditors or the government of China. This is the first time the US government has openly made a move that is tantamount to attacking Pakistan-China economic cooperation. Against this backdrop, Pompeo’s recent statement is a major blow to US-Pakistan relations. This does not bode well for peace and stability in Afghanistan because now Pakistan will not be motivated to cooperate with the US government anymore on the Afghan front. Hence, Pakistan will further be pushed towards economic dependence on China. 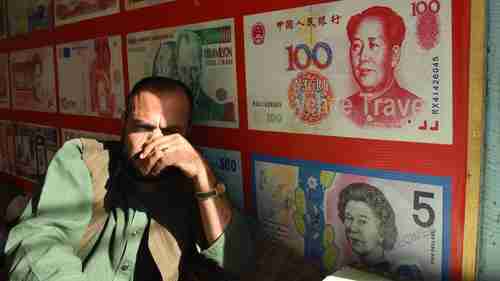 If it is unable to repay Chinese loans, it could end up leasing its assets, such as Gwadar Port, to China. This model has already worked with Sri Lanka’s Hambantota port. The US decision to block the IMF bailout has effectively put Pakistan on the path to becoming a Chinese economic colony. This will certainly not help the US in increasing its influence in South Asia and Indochina, but will rather immensely increase the influence of China in South Asia. The analysis refers to the Sri Lanka example, where Sri Lanka was unable to make payments on money loaned by China for the Hambantota Seaport. As a result, Sri Lanka was forced to give control of Hambantota to China for 99 years. In addition, there is now a large Chinese enclave surrounding the seaport of thousands of Chinese workers and families that will be there forever. So the above analysis worries that all of Pakistan is on the path to becoming a “Chinese economic colony.” The implied solution is that the U.S. and the IMF should rush to Pakistan’s rescue and give them the money to repay their all-weather friend China. It is actually still possible that the IMF will lend Pakistan the money. Theoretically, the IMF is an independent organization, located in Washington, but not controlled in any way by Washington political policy. Theoretically, the IMF should not be swayed in its decision by the way the money will be used – to repay China. As I have been writing for the last ten years, Generational Dynamics predicts that there is an approaching Clash of Civilizations world war, pitting the “axis” of China, Pakistan and the Sunni Muslim countries against the “allies,” the U.S., India, Russia, and Iran. Part of it will be a major new war between Jews and Arabs, re-fighting the bloody the war of 1948-49 that followed the partitioning of Palestine and the creation of the state of Israel. The war between Jews and Arabs will be part of a major regional war, pitting Sunnis versus Shias, Jews versus Arabs, and various ethnic groups against each other.